Uptime Racks MRCS13 can be configured as an 13,000 Btu air conditioned Telco rack. The 2 post Telco racks are primarily used to install communication and network equipment. Computing IT equipment can be installed in Telco racks with the use of specialized rail kits, either in a center mount or a flush mount configuration. 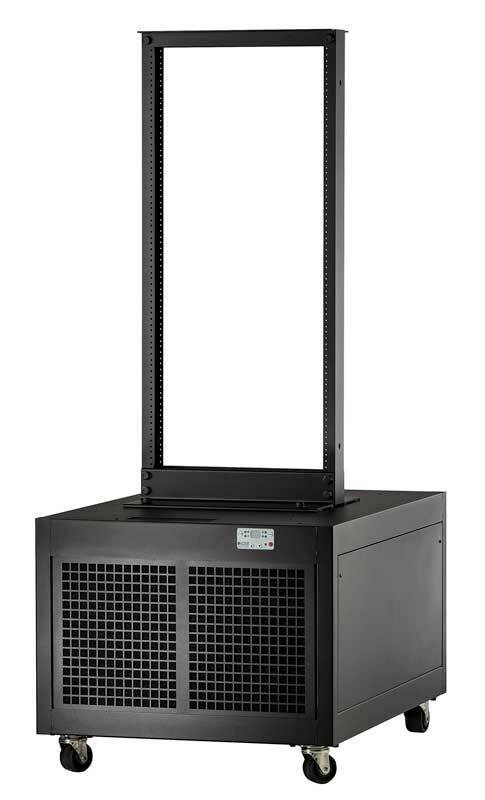 The MRCS13 air conditioned Telco rack uses the highest quality extruded aluminum posts for added strength and weight load capacity. The MRCS13 delivers a curtain of cold air directly in front of the IT equipment, allowing servers to draw in the cold air into their intakes and exhaust warm air out the back. The front to back airflow pattern of Uptime Racks follows the American Society of Heating, Refrigerating and Air Conditioning Engineers (ASHRAE). Additionally the MRCS13 air conditioned Telco rack easily brings the cold air from the front of the IT equipment to the side intake of any specialized communication network equipment.